He ate his last meal with the very one who would betray him. 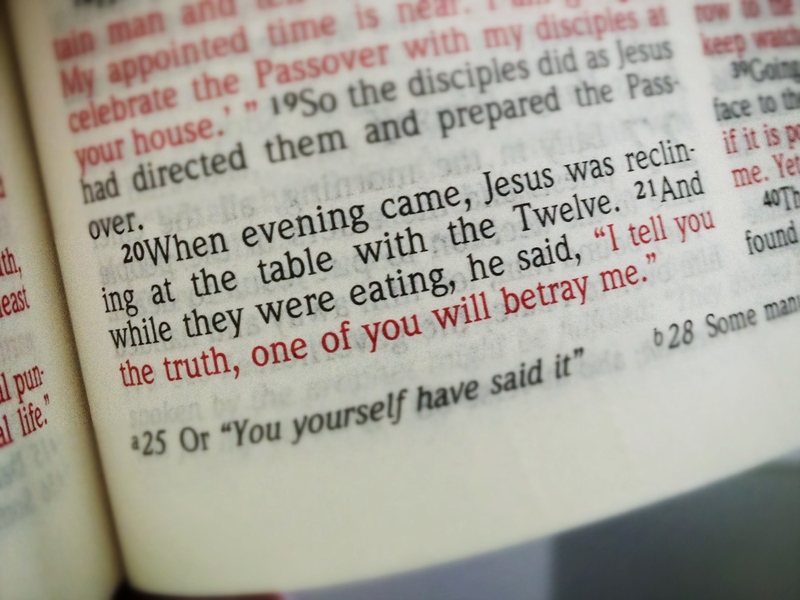 I mean if you knew it was your last meal, as Jesus did, would you make sure to include your enemies? I can only imagine the sorrow Jesus must have felt and the love that held him there. The love. Oh, the love! I mean, this Jesus had been teaching this crazy concept of “loving your enemies,” and now here he is, in the last hours of his life, giving us such a powerful and vivid example of what that very idea can look like. He even stooped to wash their feet. I am undone. I am struggling to wrap my head around this sort of love. It defies all earthly logic and wars against my flesh. This is not simply a warm, fuzzy, feel good sort of love. This is a totally selfless, I’m-willing-to-lay-my-life-down-and-hold-you-at-your-worst sort of love. Agape love. Simply, a only-God-can-do-it-in-you sort of love. I will be quick to say that while I indeed want to be the recipient of this sort of love, I fear it would be all too easy to never learn how to truly give it. I have known betrayal, heartache, and rejection…and my first response has never been to do what Jesus did. And yet—the beauty of it—can you just picture it? The incredible beauty of what Jesus did, and has done, and continues to do! The one who loves us at our worst, just as we are. The one who is the God of second chances, the forgiver. The one who ultimately bore our crap so that one day we might know THIS sort of love. A love that never fails. This love, it takes me in, it lifts me up, and it changes me. I want to love like Jesus did. I want to love without first counting the cost; to be vulnerable, open, real and to not fear. I want to love without putting up walls because of previous pain. I want to love not just those who love me, but also the very ones that don’t. That love is revolutionary, it changes everything, and it is the very heart of God. Lord, please teach me to love like this.